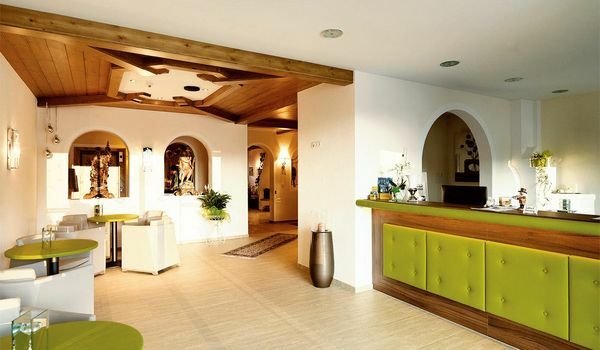 Holiday in Tyrol – winter holiday hotel Pitztal – Hochzeiger ski resort – hotel with indoor pool directly by the ski resort. The winter holiday directly on the ski slopes. Winter at Hotel Venetblick in Pitztal. The path from the valley up to us in Liss by the Hochzeiger is a summit trip to winter happiness. This is where the mountain railways begin. This is where the slopes end. And Hotel Venetblick is at the heart of it all. Our guests are first in the gondolas in the morning and the last ones back in the evening. 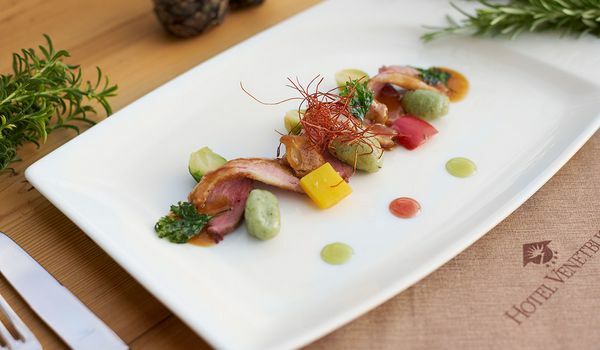 And for snacks during the day, simply return to the hotel and enjoy something tasty on our sun terrace. If you are looking for even more slopes, take the Pitz Regio Card and use it to enjoy Austria's highest downhill runs: 129 kilometres of slopes at various degrees of difficulty, free bus transfer with the Regio Bus Pitztal service, 37 kilometres of glacier ski slopes up to 3,100 meters above sea level! Whether you are a beginner or a professional, a freeriding fan or a skiing trip novice, a cross-country skier, a carver or a snow hiker, you can flirt with all the possibilities of a winter holiday at Hotel Venetblick by the Hochzeiger. Those who want to learn can contact our professional ski school, which is practically located just a few steps away from the hotel. Those who want to test our new sports gear, downhill skiers or tour skiers can simply make a quick stop at our partner sports shop. Those who want to go snowshoe hiking – which, by the way, is also offered as a guided tour – simply have to head out of the hotel and buckle up. And for those who simply want to have fun downhill: A 6-kilometre long, illuminated toboggan run is located directly by Hotel Venetblick. Kids experience heaven in the snow. Dad loves the slopes. Mum loves the sun. And the kids love everything fun. Everyone will find what they are looking for. And all this at real family-friendly prices, something you have to look for: and on the Hochzeiger there is free transport for kids! 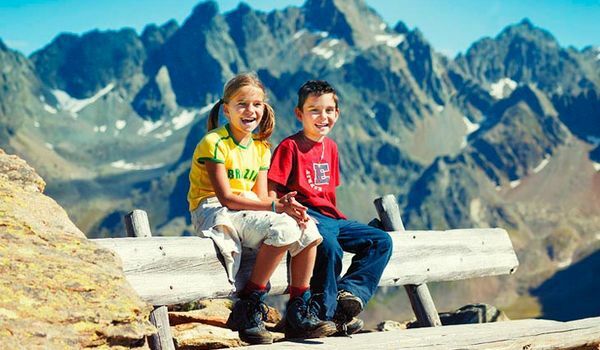 Use of all mountain railways is generally free for all kids up to 6 years of age. And kids up to 10 years of age get the Bambini Pass, which means they travel for free when a parent buys a Hochzeiger ski pass. Our youngest guests (from 0 to 4 years of age) will find first-class care at Pitzi’s Kindergarten directly besides the hotel and there are snow adventures and ski courses for those aged 3 and above. The very special new offer, the ‘snow playground’ at Pitzi Park, is recommended (about 200 meters from the hotel) for budding ski kings and snow princesses. Cross-country skiing in Pitztal: 70 km of perfectly prepared cross-country skiing trails for classic and skating. Fun for the whole family: 6-kilometre-long toboggan run directly next to the hotel. 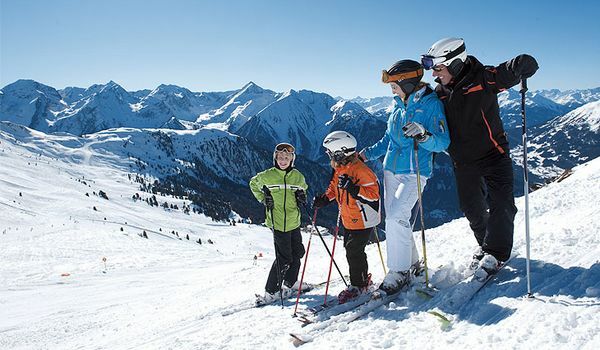 The Hochzeiger ski slopes are located directly on the doorstep of the Venetblick ski hotel, which essentially means that you will not need your car for the entire holiday because the Hochzeiger ski resort has something for everyone.